One of the reasons I really enjoy working for SparkPost is the value that’s placed on community. Our founder George created something he calls “The Circle of Awesomeness” as an expression of our corporate values, and those values are the first things reviewed at every new employee orientation. We care about our customers, our employees, and the communities we’re a part of. 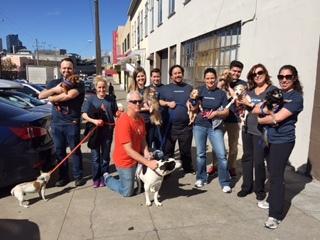 In that spirit, it’s in our employee handbook that everyone gets a day each year to volunteer for a charity or cause of their choosing. Employees are welcome to volunteer on their own, or participate in organized events set up by each regional office. Below is a recap of what we’ve been up to so far this year. The organizations for which we volunteered do some pretty amazing work to help our communities. Be sure to check out any that might speak to you. They all could use your support. The SF Marin Food Bank is responsible for distributing 100,000 meals worth of food each and every day in San Francisco and Marin counties. 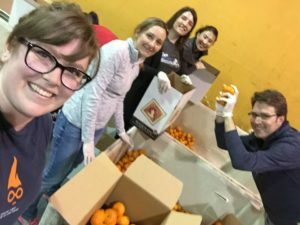 Our team was greeted by the volunteer coordinator, then quickly put to work sorting tubs of oranges, packing them in boxes and getting them ready to be shipped to local food banks, churches and public schools. At the end of our shift, the team had sorted through and boxed over 23,000 pounds of oranges (that’s more than 20 tons)! We’ll definitely be back. 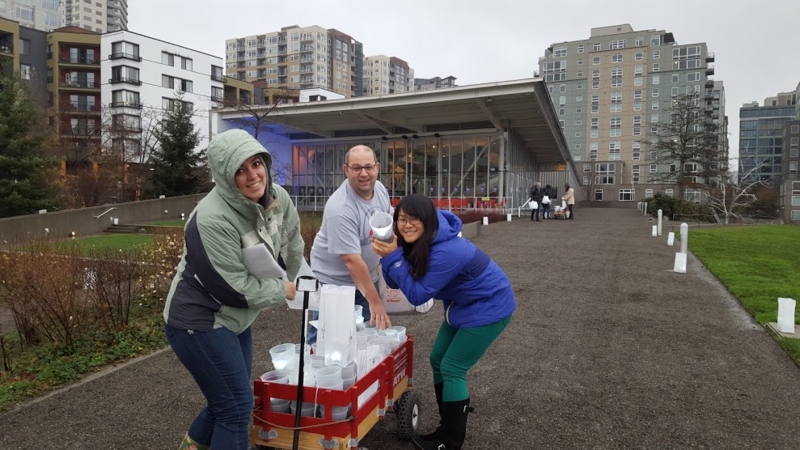 Our Seattle team volunteered their time setting up for the SAM lights. It’s a free exhibit, held once each year in the winter, that’s open to the public. SAM lights take place in the outdoor sculpture park and attendees can wander through the sculptures and listen to live music. Part of our Maryland office headed to Habitat for Humanity ReStore. ReStore is a non-profit that operates to build affordable homes for families in Central Maryland and protect the environment by diverting usable items from landfills. They sell used and repurposed furniture along with kitchen goods and household items, and the money goes toward building the affordable homes. 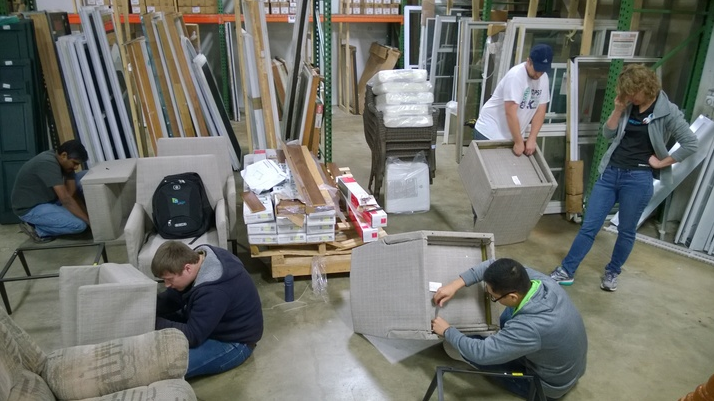 Our team spent the day organizing fresh donations, assembling furniture and cleaning up the warehouse and showroom floors. 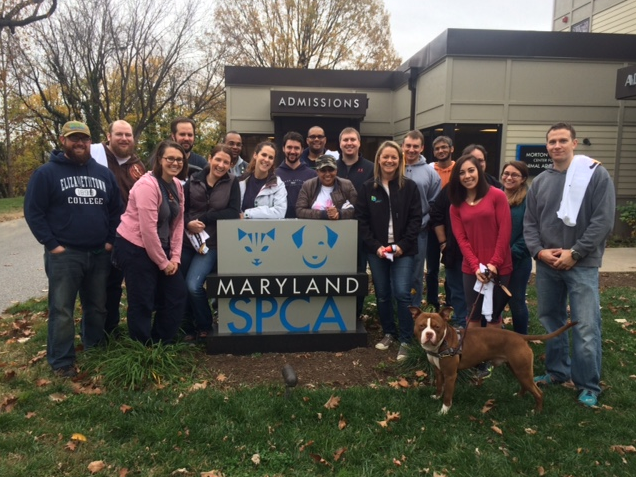 The other portion of our Maryland group headed to the Maryland SPCA to spend quality time with some animals in need. We accomplished quite a bit in a short amount of time, including walking dogs, cleaning kennels, light landscaping and office admin duties. Working for a company with lots of enticing perks is great, but working for one that cares about its surrounding community and incorporates those values into the perks is even better. It meant a lot to me to be able to see the impact these great organizations have on our communities—and it felt really good to contribute to that as a volunteer. What are your favorite causes in the San Francisco, Seattle, and Baltimore areas? We’d love to hear your suggestions for future projects! P.S. Want to learn more about what working at SparkPost is like? If you like what you see, check out our open positions.